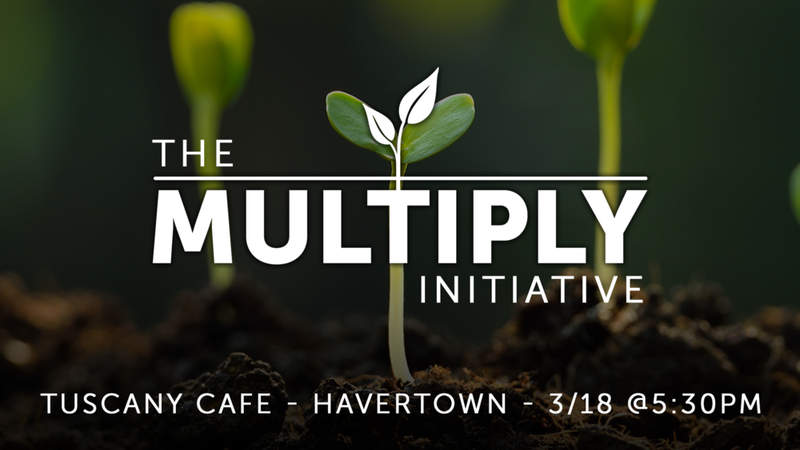 We invite you to join us for a Havertown Project Dinner Gathering to learn about what God is doing through the forming of a new church in the Havertown community. The evening will include great food, the opportunity to hear the strategic plan for the Havertown Project—the new church’s identity, vision and game-plan, and an opportunity to pray together and officially commission this project. Prayer Task Force—partnering in intercession to lay the spiritual foundation for the new church. Financial Partnership—to invest into the start-up costs of the church launch with sacrificial giving. Core Team—joining the launch core team that will establish the roots of the new church in a 6-12 month process of developing/discerning spiritual gifts, learning how to be an extended family on mission together, serving our community, building a discipleship culture at the core of the church plant, and working toward the official public launch. This is a free event, however as seating is limited, advanced registration and tickets are required. Come be apart of the birth of this new church! Childcare is available at Life Christian Fellowship. Please register the amount of kids you need childcare for and make sure you give yourself enough time to make it to Havertown by 5:30. With limited space we request that children not attend the dinner (nursing babies are an exception).